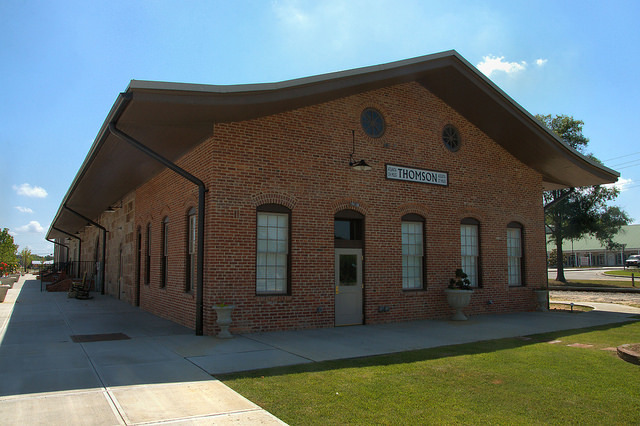 The granite freight room (back of the building in this image) dates to 1860, while the brick passenger lobby was added later. Extensive renovations in 1981 transformed the depot into the local chamber of commerce and community meeting space. At this time, the depot was painted gray. Restorations in 2013-14 returned the structure to its historic appearance, as seen today.